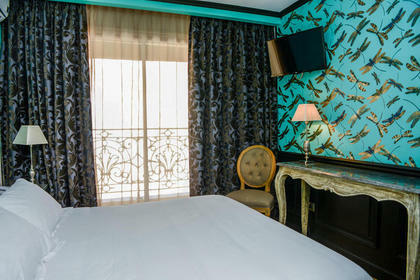 Hotel Villa-Lamartine is pleased to welcome you to its 3 Star Hotel *** in the center of Arcachon. 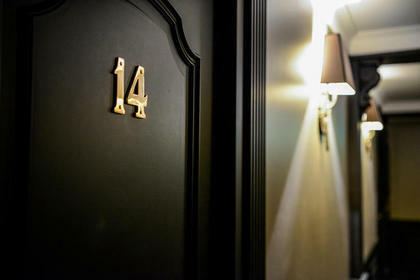 We invite you to discover its environment, its rooms and suites totally renovated in a refined and modern style. 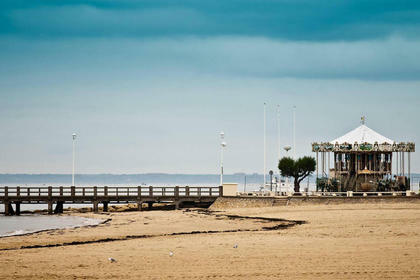 Close to shops, restaurants, the beach of Arcachon, you can explore the city center of Arcachon, also the Mauresque Park, the "Ville d'Hiver" and its typical architecture. 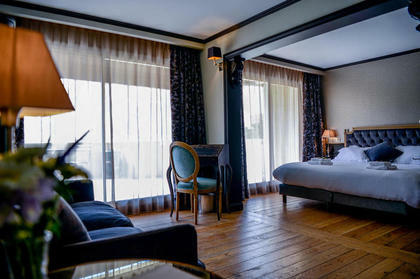 We offer a breakfast served in the main room or your room, elaborated at your request. 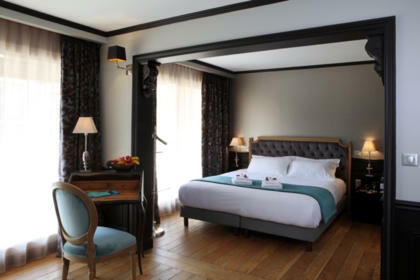 The Hotel Villa-Lamartine has also thought of your practical comfort with its private parking, free WiFi access. Very soon, with Eaton's Neck Corner, you get access to a wide range of services with the "Fitness & Wellness" Corner equipped with the latest training equipment and the "Care & Beauty" Corner with our partner 5 Mondes. 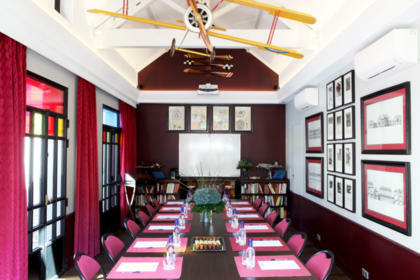 Single, couple, family or group for a weekend holiday or a seminar, you'll find room for you. 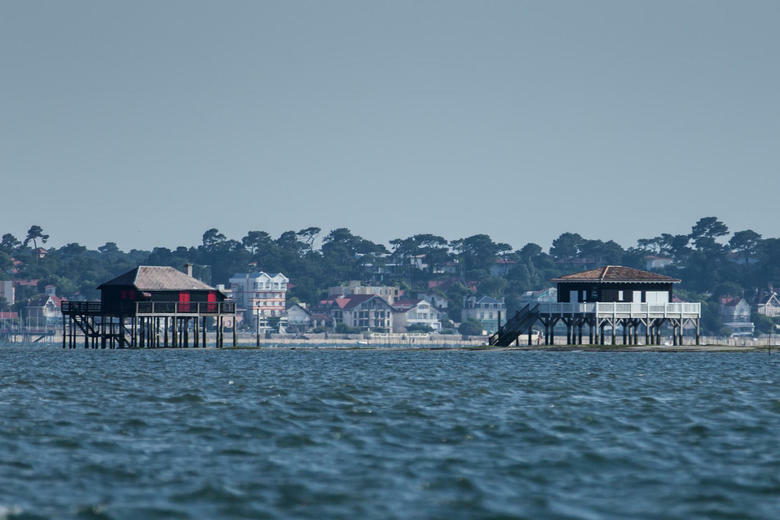 The Bassin d'Arcachon, a place of discovery, unique resort to relax for family holidays, for an intimate weekend. 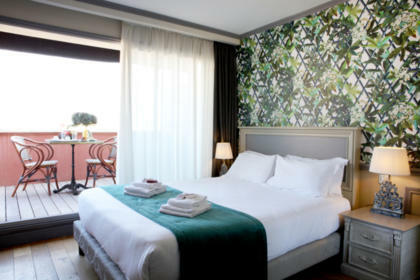 Want to escape for a weekend, a week for holidays, come to discover our customized special offers for a stay on The Bassin d'Arcachon. 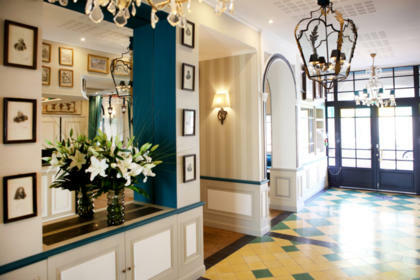 Our 3 Star Hotel is located in the Golden Triangle of the town center of Arcachon, Villa-Lamartine Hotel welcomes you, where every detail is thought for an unforgettable stay in a warm, quiet, elegance. 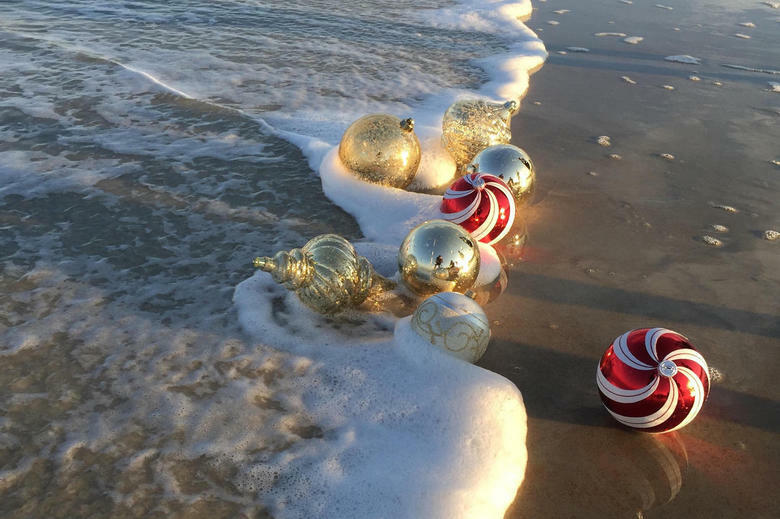 Everything has been designed for you, the guarantee of the best price by booking directly on our website, as well as all of our services, advices that we provide for the best stay on Arcachon. 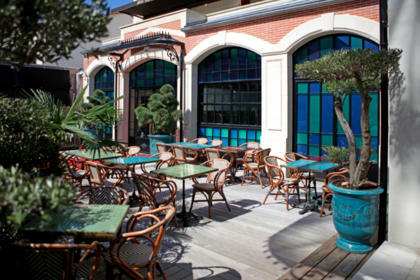 Hotel Villa-Lamartine enjoys an exceptional location in the center of the city of Arcachon. 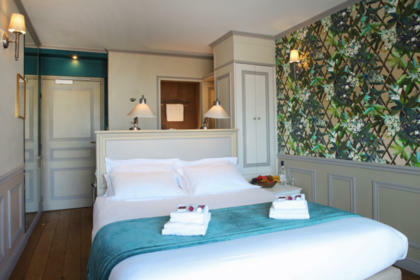 It allows you to walk to the market square, all its shops, restaurants with their gastronomic specialties, the beach of the pier Thiers, the casino, the Olympia Theater as well as the TGV station just 3 hours from Paris. 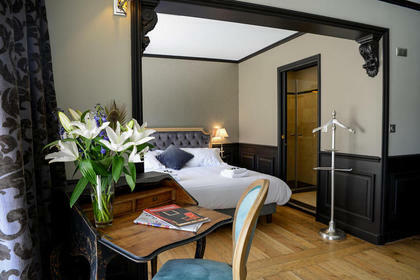 Renovated in 2017, the Villa-Lamartine, 3 star Hotel, offers a refined setting and high-end services. 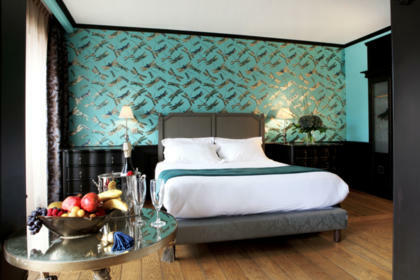 Classically-modern, spaces, suites and rooms are dressed in shimmering colors, luxurious materials and furniture provided by our partner "Mis en Demeure" and its designer Philippe Darraux. The Hotel offers you its own private parking and secured by video surveillance. Easy access, you can forget your car, walk around the different Arcachon neighborhoods, the Mauresque Park, the "Ville d'Hiver" while maintaining your mobility to visit more distant places like the "Dune du Pyla".